Cranfield Academy: Providence is a private early childhood education center located in Charlotte, North Carolina. Opened in 2010, Cranfield Academy programs that prepare children for kindergarten and foster a lifelong love for learning. We serve 6-week-old infants to 5-year-old children, and offer a summer camp program with a new, exciting theme each week. We believe that children learn best when they feel safe and loved in their environment, and once they feel nurtured, their emotional, cognitive, and social skills are better able to develop. The goal of our Providence school is to ensure that our students in the Charlotte community are happy and prepared for academic excellence in the future. 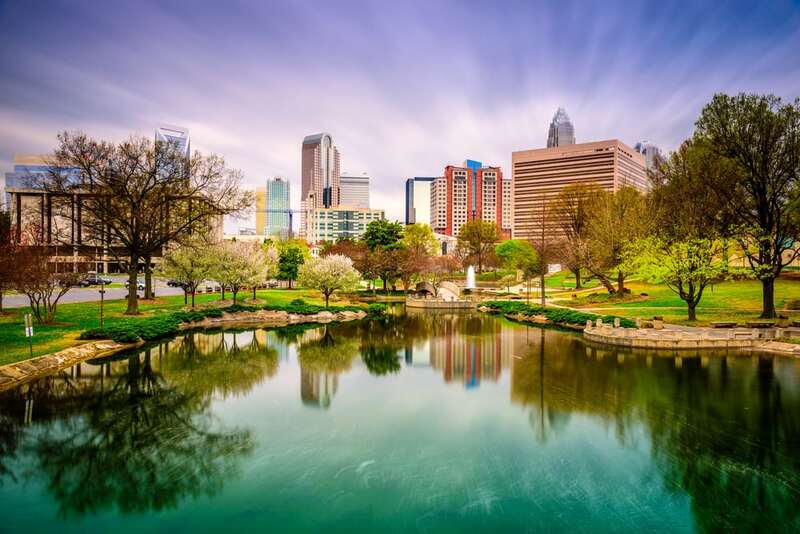 Known as the largest city in North Carolina, Charlotte is a rapidly growing city with a population of around 850,000. The city is extremely popular with millennials and is known as the millennial hub of the United States. Banking is considered the top industry in Charlotte, as Bank of America’s corporate headquarters and Wells Fargo’s east coast operations are based here. Sports are also prominent in Charlotte, with the Carolina Panthers, Charlotte Hornets, and Charlotte Independence all based in the city. Charlotte is also considered the center of the United States motorsports industry. The NASCAR Hall of Fame, Charlotte Motor Speedway, and several NASCAR offices are all located in Charlotte. Charlotte is also the nation’s second largest Coca-Cola bottler and is becoming a new energy capital of the United States. The nice subtropical climate and proximity to the Catawba River and Lake Norman make Charlotte a desirable area to live in. As a historic and cultural hub, there are numerous activities and unique destinations to see in Charlotte. The Charlotte Museum of History, located in a beautiful restored Colonial home, features objects and exhibits dedicated to Charlotte’s history and growth. One of the houses located on the museum’s grounds is the Hezekiah Alexander House, the oldest surviving house in Mecklenburg County and a National Historic Place. The Levine Museum of the New South is another popular history museum in Charlotte. This museum’s exhibits are focused on life in the North Carolina area after the American Civil War. The Billy Graham Library is dedicated to the famous religious leader Billy Graham. Visitors can take a tour of Graham’s original childhood home and learn more about his personal experiences that inspired his religious activism. The Daniel Stowe Botanical Garden is another good place for families to visit. This beautiful garden and conservatory allows guests to reconnect with nature and form lifelong memories. The Garden also hosts many events and festivals, including a Chinese Lantern Festival and weekly yoga classes. Cranfield Academy: Providence offers the highest quality child care and educational experience for our students. The Division of Child Development & Early Education and the North Carolina Child Care Commission gave us a 5-star rating, which means we exceed state requirements and faculty education standards. Our students build cognitive and social skills by learning through play and exploring the world around them. We want our families to feel that we are an extension of home, which is why we place so much emphasis on providing a loving, nurturing classroom environment. Proper nutrition at a young age can help a child develop properly and establish healthy eating habits that will stay with them throughout their lifetime. Meals and snacks are included as part of our tuition and are prepared daily by our private chef. We want to meet children’s nutritional needs without giving them excessive additives or sugar, so our chef focuses on healthy and child-friendly foods such as fruits, vegetables, and whole grains. We also believe in the importance of an enriching, well-rounded education. Our students at Cranfield Academy: Providence participate in many different enrichment activities, including soccer, gymnastics, music, computer, and Spanish classes. Downtown Charlotte is about a 30-minute drive from Cranfield Academy: Providence. To get to Downtown Charlotte, get on I-485 and head northwest, passing Carolina Place Mall. When you see Ramblewood Park, take the exit to get onto I-77 and head north, passing Montclaire South and Revolution Park. Take exit 9 B-C to get onto I-277 and when you pass the Bank of America Stadium to your left, take exit 1 E to get onto S College Street. When you see the Charlotte Convention Center and The Green you have made it into Downtown Charlotte.